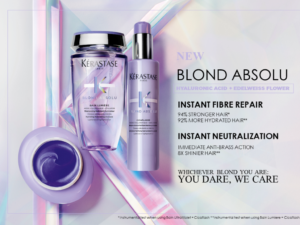 Blond Absolu from Kérastase is the ultimate answer for all blondes. A unique combination of potent Hyaluronic Acid and Edelweiss flower deeply nourished fiber and neutralizes brassiness for an illuminated blonde. Bain Lumière Hydrating is an illuminating shampoo for faux-blondes which gently cleanses the hair from root to tip leaving it light and luminous. Bain Ultra-Violet is a powerful purple shampoo rich in neutralizing agents to instantly remove brassiness and yellow undertones. 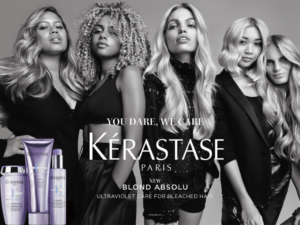 Ideal for cool faux-blonde and grey hair, the regular use of this shampoo provides durable anti-brassiness protection, keeping blonde shades cool for longer. Masque Ultra-Violet is a non-staining hair mask can be used once a week, or as often as needed to neutralize brassy tones and keep your blonde hair luminous & cool. Cicaflash; a milky gel with a soft lavender hue offers the restorative performance of a masque with the lightweight finish of a conditioner. It intensively restores sensitized hair, nourishing the fiber. Cicaplasme seals split ends and smoothes the hair fiber for a uniform touch and long-lasting frizz control. It provides heat protection for up to 230°C to protect hair from heat styling tools. A shot of powerful restoration that boosts the natural beauty of blonde between color services. Concentrated healing ingredients instantly restore fibers sensitized by lightening. 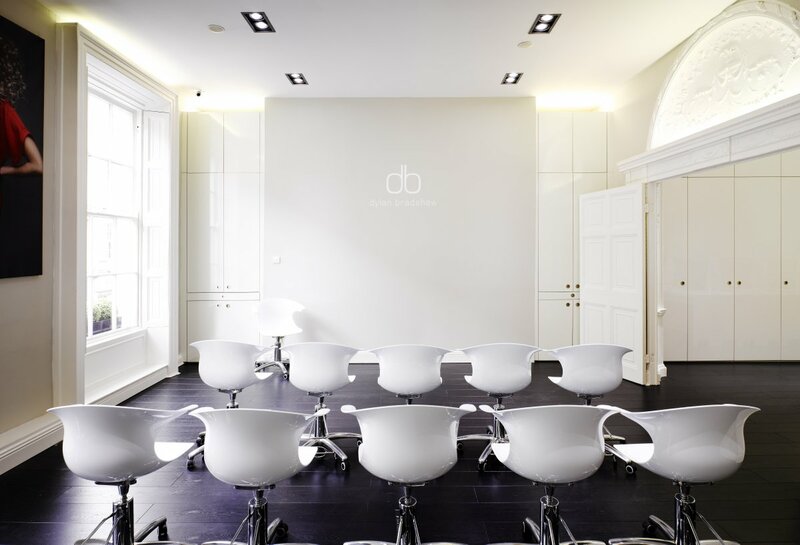 The full range coming soon to Dylan Bradshaw!